If the church in Europe is to rise from its lethargy, it desperately needs the power of the Spirit to bring it to life. If the world is to find healing from the ravages of climate change and environmental destruction, it will need the life of the Spirit to flow through it. If you and I are to fulfill our true potential as human beings, we will need to be filled with the Spirit so that we can be brought to the full stature of Christ-like people. For those reasons, I can't think of many more important things for the church to think about right now than how the Holy Spirit is at work in the world (and the church) today, and thus to long and cry out for the Spirit's coming with conviction and passion. On Friday June 3rd, we are holding our next 'Holy Spirit in the World Today' conference. Last year's was a special event, with some fantastic speakers including Jurgen Moltmann and the Archbishop of Canterbury. This year's will take the discussion to another level, focussing on some key biblical texts about the Spirit, with some brilliant speakers. Professor David Ford from Cambridge University has been working on a commentary on John's gospel for a long time, and he'll be offering the fruit of all those years of reflection on John 14-16 and what it says about the Holy Spirit and life. Dr Wonsuk Ma is a Pentecostal theologian, missionary and Biblical specialist who will be speaking about the Spirit in the Old Testament, especially Isaiah, and providing an important perspective from a Pentecostal background - Pentecostals do tend to know a thing or two about the Spirit! Professor Tom Greggs, soon to be Professor of Theology at Aberdeen, is the youngest theology professor in the UK, and one of the up-and-coming stars in the world of theological studies. He's going to be speaking on what it means to do theology 'in the Spirit' - how theology can avoid being dry and faith-sapping, and instead full of life and spiritual wisdom. Dr Jane Williams, known to many of us, will be taking another key passage on the Spirit and exploring it in her own inimitable style. Ken Costa, City banker, recently Chairman of Lazards Invstment Bank, will be sharing his thoughts on what he sees as a global awakening to the Spirit, shown in all kinds of unlikely places. Basically, it will be a rich and fantastic day, an oppportunity to catch up with old friends, make some new ones, and be stimulated for whatever ministry you're involved with. Don't miss it! To book, click HERE. The Spirit unites us with Christ, so that we can know the love of the Father for the Son, as a love into which we are drawn. This also means that we find ourselves called into the mission of the Son towards the world. Bring ‘in Christ’ by the Spirit means becoming caught up in his work to prepare for the new creation. Our new identity leads to a new vocation, to join with God in his work of ‘bringing all things together under Christ’, ‘looking forward to a new heaven and a new earth’. The Spirit does not do his work in creation directly. Alongside the Spirit, humanity plays a distinct role in the creation stories in the development and maturing of creation. As human beings are created at the climax of creation, they are called to ‘work it, and take care of it’ (Gen. 2.15). Humanity is deeply involved in God’s work to bring creation to its fulfillment, though activities such as work, art, technology and the scientific enterprise of understanding, naming and harnessing the powers of the world. The Spirit of God is free to work without human agency (after all, flowers grow, birds sing and forests breathe without the help of people), yet to bring creation to its true fulfillment, the Spirit works through human agency. Humanity always had a purpose. It was to work with the Holy Spirit in caring for the created order, and enabling it to fulfill the latent potential in it. Parents cannot make a child mature. They can however help to shape the child as he grows, forming his mind, interests, values and future career. Gardeners cannot make plants grow. They can however tend the plant, pruning it and fertilizing the soil to make sure it grows straight and free from parasites. In the same way, humanity cannot bring or give life to the creation – only God the Holy Spirit does that. Yet we can, and are called to shape that creation as it develops, giving it form, order and structure. However when we remember the work of the Spirit within a damaged, broken world, we see a further role for humanity. Our calling is not only to help creation grow to maturity, but also to be involved in its healing. Of course, humanity itself is affected by that brokenness. We were intended to be involved in the evolving growth of creation into maturity, yet we have become part of the problem, damaging and destroying the very creation we were meant to tend and care for. Every harsh word, broken relationship or polluted river is evidence that we are complicit in the destruction of creation, joining in the impulse to return creation to the chaos from which it came, co-operating with forces of death, not the Spirit who brings Life. The work of redemption requires forgiveness, cleansing, and a new creation, so that we can again take our place, working with, rather than against the Spirit in his work of bringing life and vitality to the world. 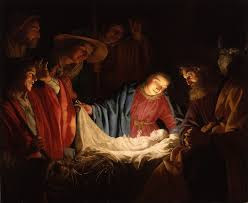 The sending of the incarnate Son restores the image of God into humanity, and atones for the sins of the world. Paul puts it like this: “In Christ, God was reconciling the world to himself.” (2 Corinthians 5.19). God’s work of restoring the broken creation is focused in the coming of the divine Son into the world in the person of Jesus the Christ. 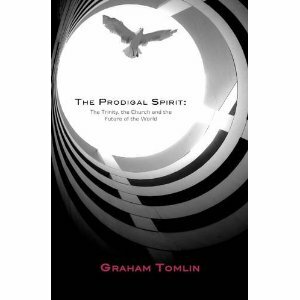 If the Spirit is to work with us and through us to enable creation to reach its full potential, that means that humans will not only need to be ransomed and forgiven, they will also need to be filled with that same Spirit, so they can be agents of God’s work in the world. The Incarnation suggests that God’s normal way of working is not to use people like instruments, like a workman using a screwdriver or a gardener a spade. Jesus has his own will, which he chooses to bend to the Father’s will, as happens most tellingly in Gethsemane. God transforms from within, gradually changing desire and will, so that people choose to do his will, rather than being forced to. So, for us to be agents of the Spirit’s work of completing creation, we need to be filled with that same Spirit, not just mechanically used by him. We are filled with the Spirit so that he can work through us to complete his work in the world. If we are united with Christ through the Spirit, so that we experience for ourselves the intimate love of the Father for his Son, enabling us to call him ‘Abba’ as Jesus did, then this text reminds us that we are united with the crucified Son. Our fellowship with Christ is a fellowship of his sufferings (Philippians 3.10). I spent an afternoon in the National Gallery yesterday, in the C16th section. The painting that caught my eye was 'The Ambassadors' by Hans Holbein, a 1533 depiction of two French diplomats. Holbein gives an indication of both of their ages (25 and 29 - pretty young for official envoys by our standards). The one on the left is Jean de Dinteville, the French ambassador, the one on the right Georges de Selve, a young French bishop. Between them lie an assortment of items, a lute, some astronomical instruments, some books, and the strange shape of the foot of the painting is a distorted skull, only visible in proportion when viewed from the right hand side of the canvas. What struck me about the painting was its sense of harmony and honesty. It is a scene of youth, health and vigour, two men at the top of their game, confident, strong and at ease with the world. One is a politician, one a churchman, in a world where religion and politics can live alongside one another as equally important aspects of life. The scientific instruments lying next to a Christian hymnbook, lute and pipes point a world where science, music and prayer are not mutually exclusive and suspicious of each other, but live quite comfortably side by side. It is also a world where it is possible to celebrate youth and energy, fine clothes and colour, while at the same time include reminders of death and mortality. The broken string on the lute and the cryptic death's head skull (even if you have to look closely and obliquely to see them) are both signs of a culture that could quite happily embrace the realities of both life and death without trying to erase one or the other. It is beautifully composed, all in balance and proportion, luxuriously painted, and gives you a nostalgic sense of a world where things hung together - science, art, theology, politics - and a world where death and life, youth and age were not hidden from each other. The sixteenth century was of course far from a harmonious age, yet underneath the disputes of the Reformation (and these two men are of course Catholic diplomats in a court fast breaking away from the papacy in 1533) this pre-modern world had an underlying harmony and unity based around its Christian view of the world that our fragmented and pluralistic world can only wistfully imagine. It started with the gradual acceptance of the idea (shamefully agreed to in 1930 by the 'Inner Mission' one of the main Protestant welfare agencies), that sterilization was 'morally legitimate', even perhaps an act of duty towards future generations, a necessary means of social progress. The next step was the decriminalization of voluntary eugenic sterilization in 1932. That again seemed a fairly harmless step. After all, no-one was forcing it on anyone, it was only for those who chose to have themselves sterilized on racial grounds, opening up the possibility that someone might choose to stop themselves bearing children in the future, and thus perpetuating their own race. The next stage was the possibility of sterilization at the consent of a guardian, for those whose own behaviour indicated that their children could end up being 'anti-social'. Once the earlier rubicon had been crossed, this didn't seem too bad either. After all, if the principle of the benefits of sterilization had been established, then a legal guardian worried about a teenager's behaviour might choose to save society the trouble and cost of future aggro by preventing any possibility that promiscuous delinquent youths might give birth to other promiscuous delinquent youths. It wasn't a huge step then towards the legalisation of compulsory sterilization at the decision of the local Party, who decreed that certain elements of society should be nipped in the bud and no longer allowed to replicate themselves. The point is that Nazi Germany did not suddenly go from a 'normal' society to one that could tolerate mass state murder of its own citizens overnight. It happened gradually, incrementally, step by step, almost while no-one, even 'good' people, noticed. It is to my mind one of the arguments that should make us pause before legalising euthanasia, however desirable it may seem to stop someone's pain. You never know where it will lead once you step out on that path. I've just spent a weekend doing some teaching to a group of very focussed and impressive church leaders in Prague. The Czech Republic is one of the most secular countries in the world today. At the same time, the wonderful Tomas Dittrich who showed me around and the others I met had a deep sense of the Christian history of the country and its role in forming European Christianity. I loved a visit to the Bethlehem Chapel, the place that holds the pulpit where Jan Hus preached in the early C15th. For those who don't know, Hus was a radical preacher who mounted a rigorous critique of the church of his day, demanded reform and ended up getting burnt for his pains at the Council of Constance in 1415, despite having been guaranteed safe conduct to the Council. Hus in Czech means 'goose', and during his trial, he had reportedly said “Today you are burning a goose, but out of my ashes will be born a swan whom you will not burn". As you might imagine, Luther quite liked that line. I have often mentioned Hus while lecturing on Luther - it was when Luther realized in 1519 that Hus the heretic had been burnt for preaching views similar to the ones he was himself develop, that Luther began to realize he was on a different track to the papal church that was trying to bring him to book. Nearly six centuries later in 1999, Pope John Paul II expressed "deep regret for the cruel death inflicted" on Hus. Priests who boasted of making the body of Jesus Christ in the mass, and of being the creator of their Creator. The confession exacted of the members of the Church — 'I believe in the pope and the saints' — in opposition to which, Huss taught that men are to believe in God only. The priestly claim to remit the guilt and punishment of sin. Only God does that. The implicit obedience exacted by ecclesiastical superiors to all their commands. Making no distinction between a valid excommunication and one that was not so. Simony - the idea that positions in the church can be bought and sold for cash. In essence all of them are a re-assertion of the radical freedom of God. the church does not possess or control God, much less dispense him to others. God is our creator, we are not his. And yet God gives himself to us in Christ. Holding that tension saves us from many theological and spiritual mistakes. It saves us from domesticating God, making him familiar and safe. At the same time it keeps us from making him so distant and mysterious that we can say nothing about him, or rendering him cool and unconcerned with our struggles and pains. Hus's blow struck for the freedom of God at the price of his own life is something for which we have to thank the Czech nation and it's fine spiritual heritage.